A lot of people tend to forget that Australians were wary of Russians. At least that was the case in the late 1800s, when Kissing Point Fort was first established on Townsville’s ocean view headland. For 100 years the Australian military manned and managed this fort, which endured everything from Japanese bombings to defense from colonial threats. Today the draw of Kissing Point Fort is the sweeping hilltop view, which stretches out to Magnetic Island and the popular Rock Pool below. For visitors interested in military history, hike to the former gun emplacements that guarded over the city, or duck your head as you walk through bunkers built in case of attack. Public artworks also honor the area’s Aboriginal heritage, and the Army Museum of North Queensland is in nearby Jezzine Barracks. The Kissing Point Fort passed many years in dire need of repairs, but savvy locals still frequented the area to take in the views. 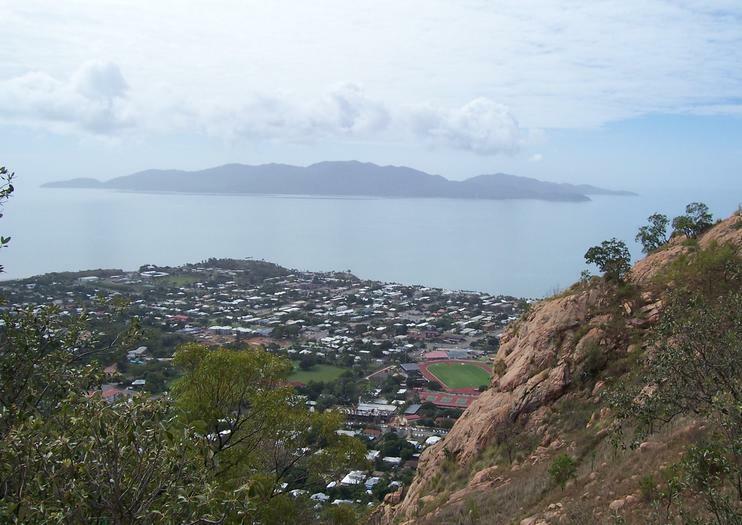 Today the walk to the top, however, is a natural extension of The Strand, and offers a welcome and unexpected lesson on the storied history of Townsville. Kissing Point Fort is set on the headland at the northern end of the Strand. The walk to the top takes longer than it looks, and all hikers should have proper footwear and a large bottle of water. The Army Museum of North Queenstown is located in Jezzine Barracks, and is open on Wednesday, Friday, and Sunday from 9am-1pm. Uncover the secrets of Townsville's fascinating military history on this 4-hour walking tour led by a former Australian Army soldier. Visit key sites like Kissing Point Fort, Black Hawk Memorial and Lavarack Barracks, then explore the exhibitions at either the Royal Australian Air Force Museum or the Army Museum of North Queensland. This small-group tour has a maximum of 12 participants to ensure a personalized experience and includes hotel pick-up and morning tea. Alternatively, upgrade to a full-day tour and add on a 2.5-hour sightseeing tour of Townsville with lunch.